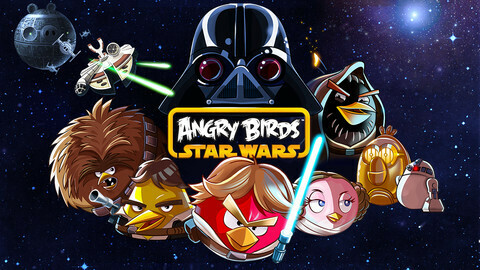 On Friday, we called Angry Birds Star Wars "the best game in the series" and it seems that the public agreed with us. In a mere 2.5 hours after being launched, the game was on top of the U.S. iTunes charts. That broke the previous record held by another game in Rovio's Angry Birds line, "Bad Piggies." That game, a look at the Angry Birds storyline from the pigs' point of view, was just released last month and took 3 hours to make it to the top at iTunes. We really have to hand it to Rovio. The company, which has a rather ambitious goal of being the next Disney, has been so focused on merchandising the Angry Birds (although we do draw the line at Angry Birds condoms) that they easily could have let the game go, profited from merchandising, and sit back collecting royalties in perpetuity. Instead, they deliver their strongest effort yet. 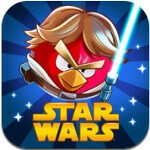 Angry Birds Star Wars is now available at the Apple App Store and in the Google Play Store. I have it free on my note 2, runs so well makes me wanna ditch battlefield 3. Yea, that sounds stupid but you get the point. That's cuz the free version is ad supported n android. That makes it not as fun to play, cuz the ads can b disruptive. Yes the ads can be very disruptive. huh, Angry Birds condoms....well, I feel bad for those people that had to buy the game, but for 99c it is worth it. well if u check ...the play store will have a more download's than istore !!! What does that have to do with, and how is that even relevant to this article? The article states a record for iTunes, not more than the play store. Always a useless competition, is google gonna give u a check for that comment? NO!!! I think it is a fun game!! I love it too. Can't wait to unlock the Death Star. By the way, Star Wars episode 7 in theaters may 2015. Can't wait.